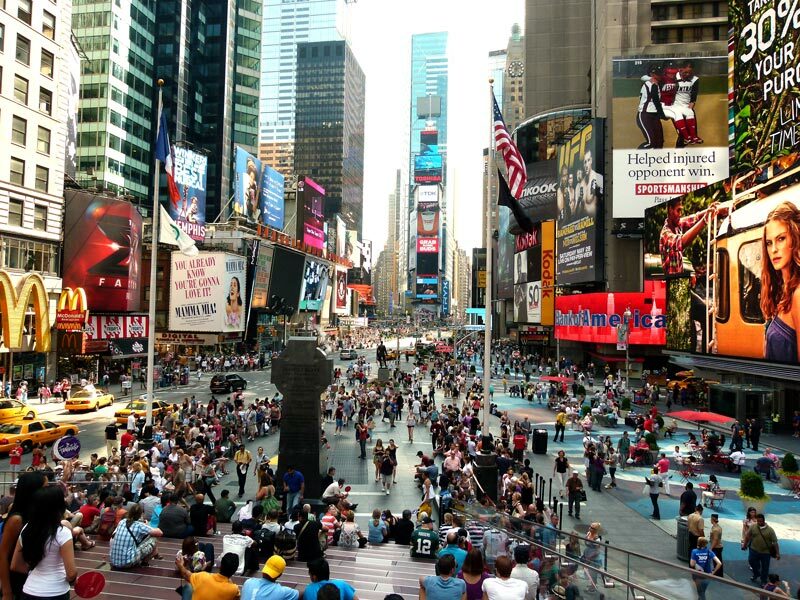 We have been on Broadway every day since we got here, and we know we will be back again. 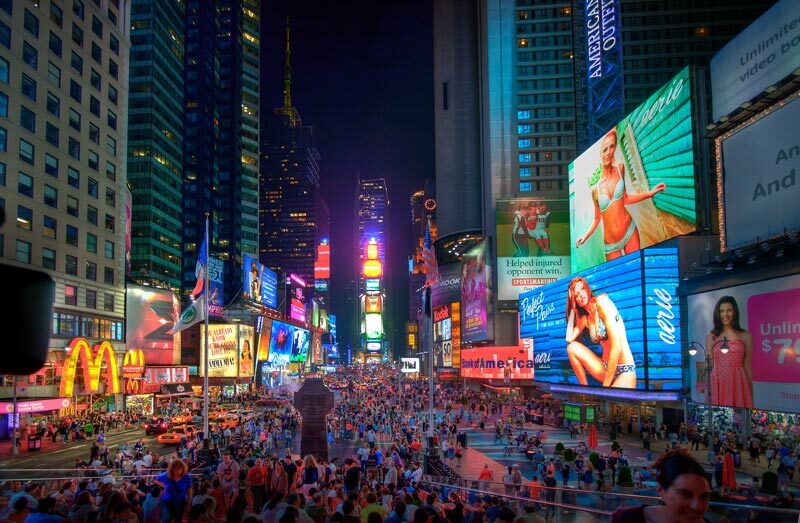 We begin with a picture from Times Square at night, when it sparkles with millions upon millions of LED lights promoting an endless array of products in constantly changing displays that don't merely compete for attention—they demand it. We joined the light-watching crowd in Times Square last night, after we saw "Sister Act," our first, and surely not our only, Broadway show of this trip. We absolutely loved everything about the show—wonderful music, an outstanding cast, and a good plot with an uplifting message. It will be hard to top this one. Today's Broadway attraction was a two hour walking tour led by Joyce Gold, a New York University History Instructor. We knew she would bring her 25 years of teaching experience to our walk the minute she pulled a stack of index cards four inches thick out of her tote bag. 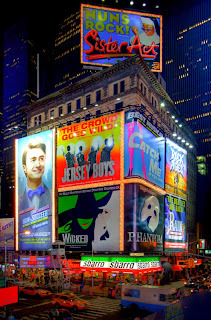 What a wonderful romp up and down the streets of Broadway, punctuated by Joyce's analysis of the history of the area as viewed through the lyrics of popular show tunes and the subject matter of award-winning musicals. Who but an enthusiastic academic would point out the symbolic importance of opening a Children's Theatre in what used to be a sleazy adult entertainment district—the strongest possible message that Broadway was a family venue now (a message families can't miss these days, with a three story M&Ms store on Times Square across the street from the huge Hershey's store, we might add). We also picked up some surprising popular culture tidbits, like the fact that the Seminole Indians of Florida now own the entire Hard Rock Café chain, and my favorite show, "The Good Wife," is filmed in Brooklyn. We just eat this stuff up, but we recognize we are out of the mainstream, because there were only seven people on the tour, and we were the only tourists—the others were all native New Yorker life-long learners. Along our tour route we walked through the Café Edison in the Edison Hotel, a pre-show dining institution for Jewish folk through the ages. It clearly hasn't had a face lift or a menu change (other than price increases) since the 1950s. We only recognized one kind of soup--matzo ball--and chopped liver was presented in every conceivable format from salad to sandwich to entree. The white-haired ladies on our tour recommended it highly, so we stopped in for lunch after the tour. With 25,000 restaurants in Manhattan, it is a mystery how a place like this thrives seemingly without even trying. The power of location plus inertia, perhaps? Take a look at Times Square, the heart of Broadway, day and night. Isn't it grand? After lunch we headed to the American Folk Art Museum, which is celebrating the Year of the Quilt with a series of quilt exhibits. We were disappointed in the exhibit on display now. 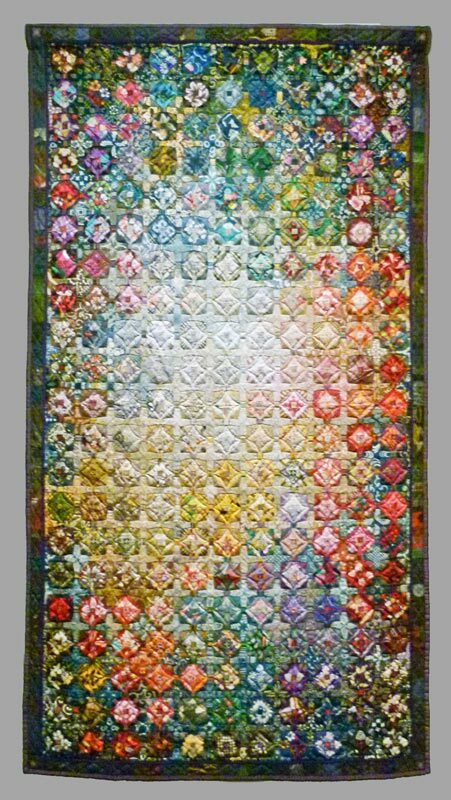 Although it had some old quilts with fine workmanship, most of the quilts were unremarkable, and there was only one contemporary quilt that we would consider an art quilt. The curation of the show was meager, we didn't even leave with any memorable stories behind the quilts we saw. We were glad that we got in free, because our Telfair Museum membership shares reciprocal visitation privileges with the Folk Art Museum. 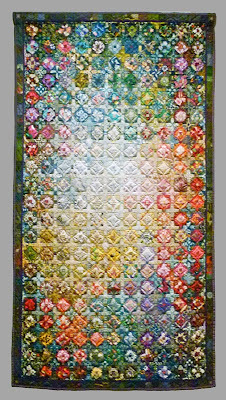 This is a picture of our favorite quilt from the show. 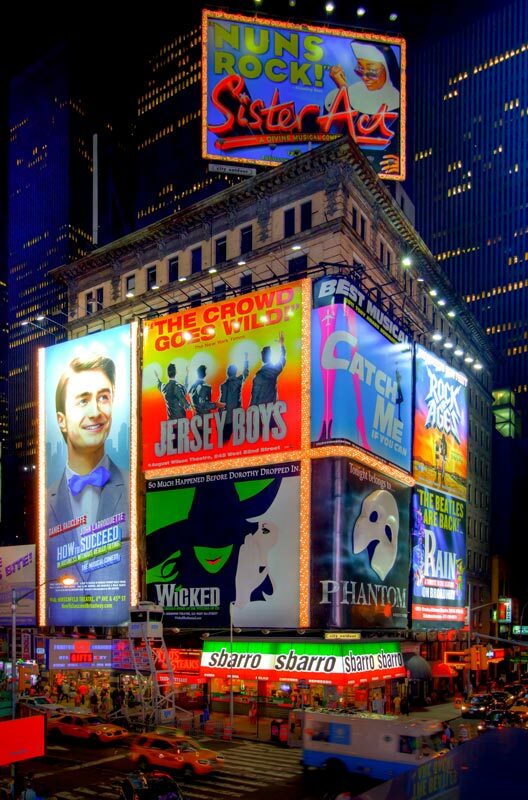 Tomorrow, we will be back to Broadway. We are eager to see another show.